The last time we properly caught up with Beatrice and Toni of Beaton was back in April last year (2016). We heard their story of the first visit to the island in 2008 and then the more permanent move to the country in 2011. 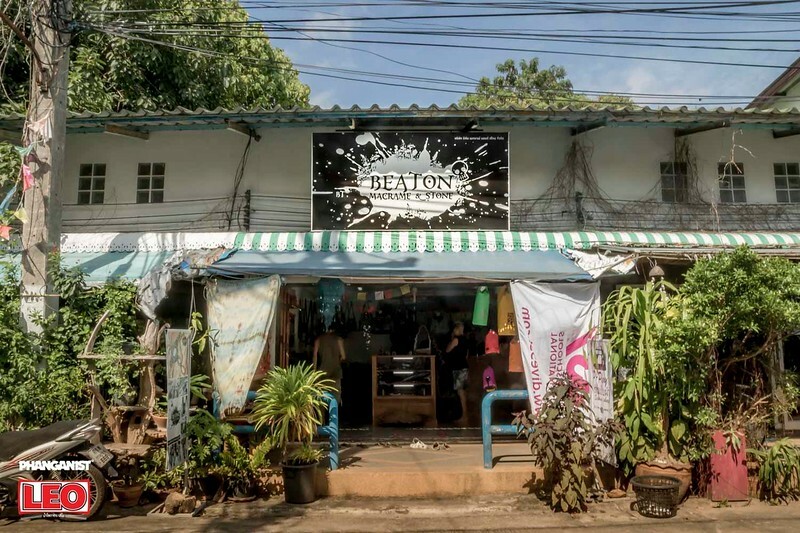 Beaton have now realised their dream of having a physical platform for their unique macrame jewelry in the shape of a shop on the artistic street of Krung Thai in Thong Sala, an absolute dream of a location for art such as theirs. 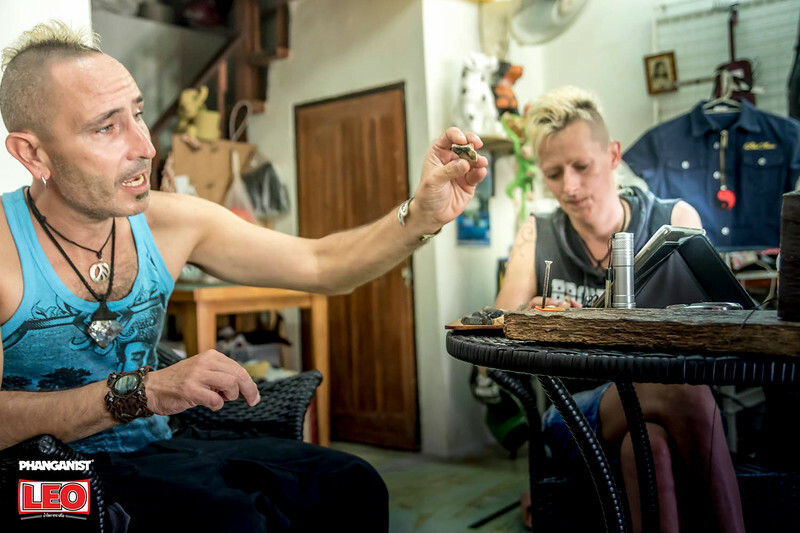 Phanganist and Leo went to see Beatrice and Toni on one of Phangan’s typically hot and sunny days at their new location. As always it was like seeing old friends and everyone who enters the shop we’re sure will feel the same after a few minutes. 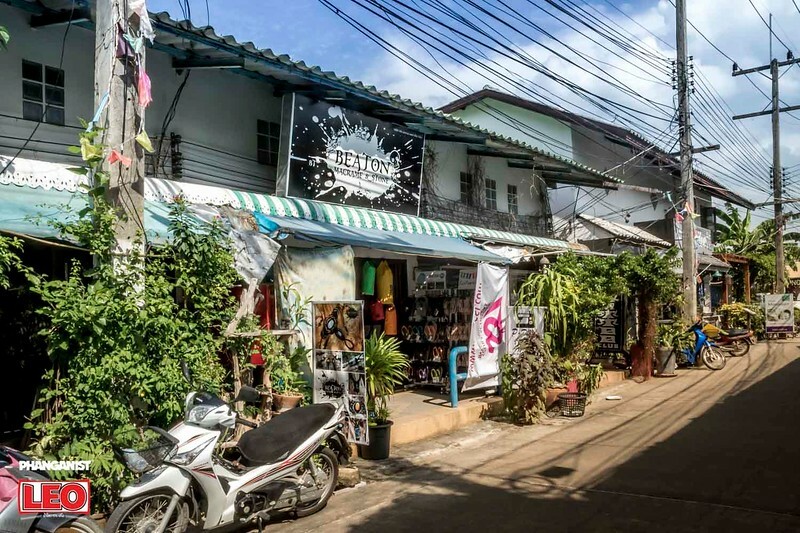 This was the plan for Beaton from the very beginning, in order to stay in paradise they wanted to open a shop and also as a way to show people what they do and how it is all working. 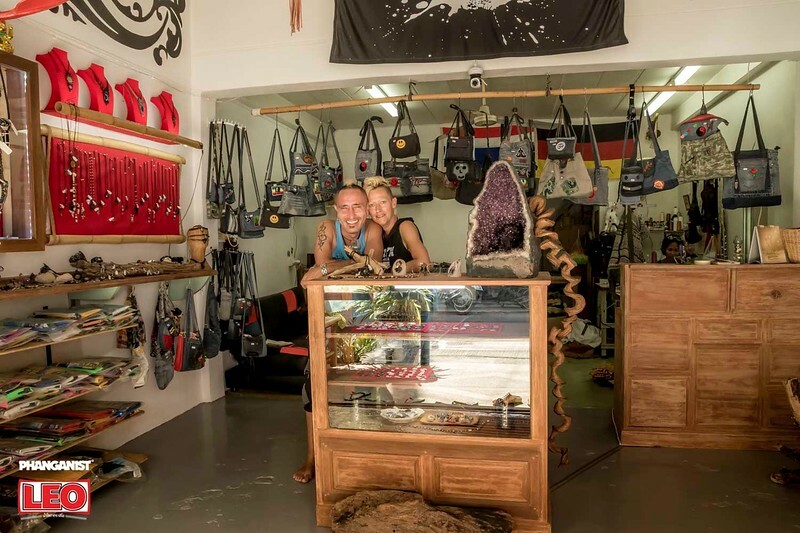 The shop was officially opened on September 20th but it took a bit of time to prepare for it beforehand. 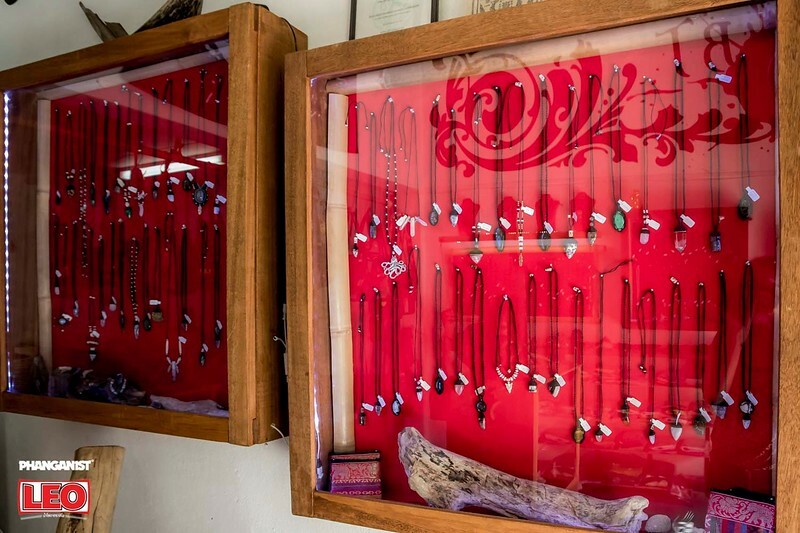 All of the jewelry cabinets had to be specially made and their cool Beaton logo is painted proudly on the walls. 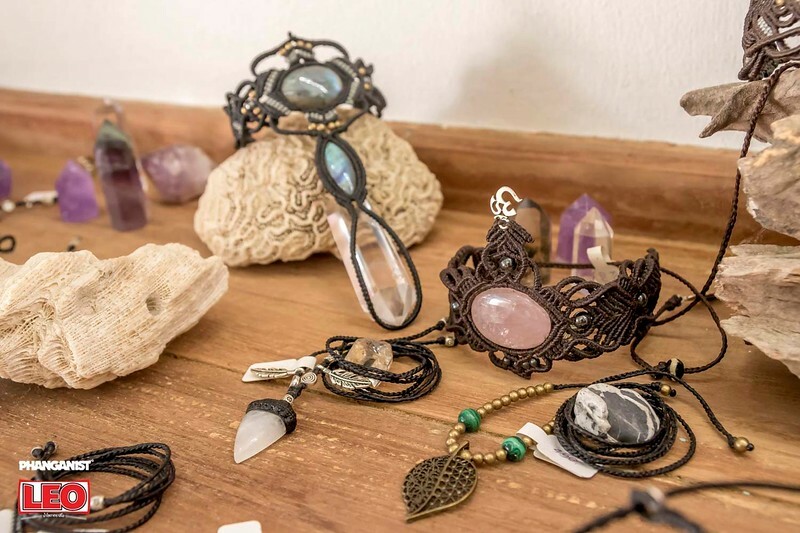 We begin by admiring their recent stones found here on the island, black tourmaline and quartz crystals, the Beaton pair trek through the jungle and spend a lot of time looking for these magical gems. It started off quiet then more and more people come and visit us. December was a crazy time as we had lots of friends here and it was high season, we had lots of special orders come in so it kinda kept us going till March. April got a bit quieter as it does on the island and now it’s starting to pick up a bit. In general Full Moon is always a good time for us as well. 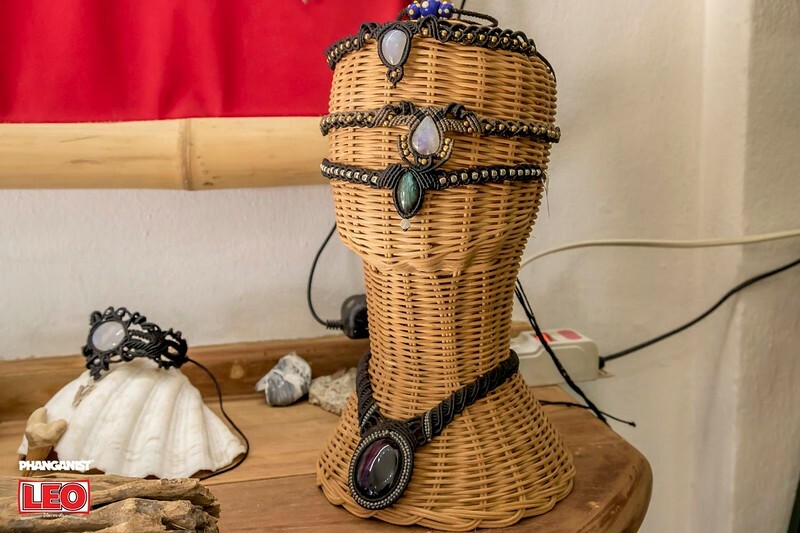 Has there been any changes or progression with the macrame pieces? We’ve actually been making more small and simpler pieces which are more thin, people seem to like it and it sells well. 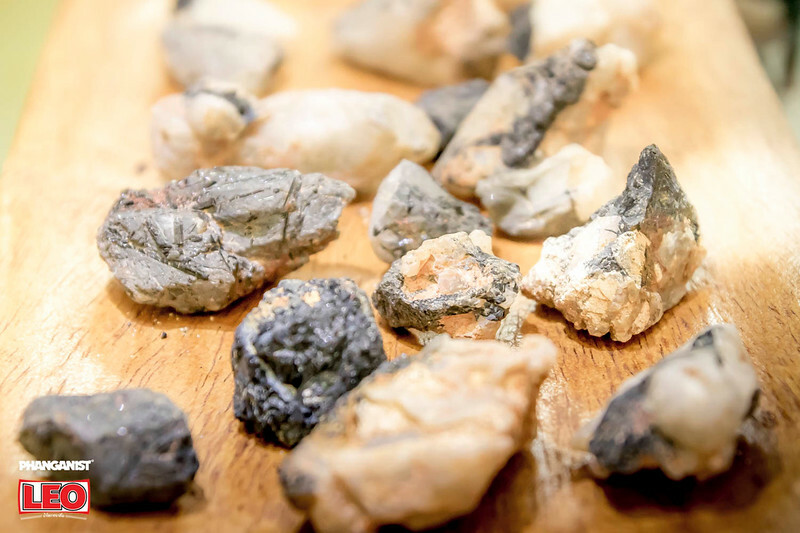 Also the stone quality has changed for the better. 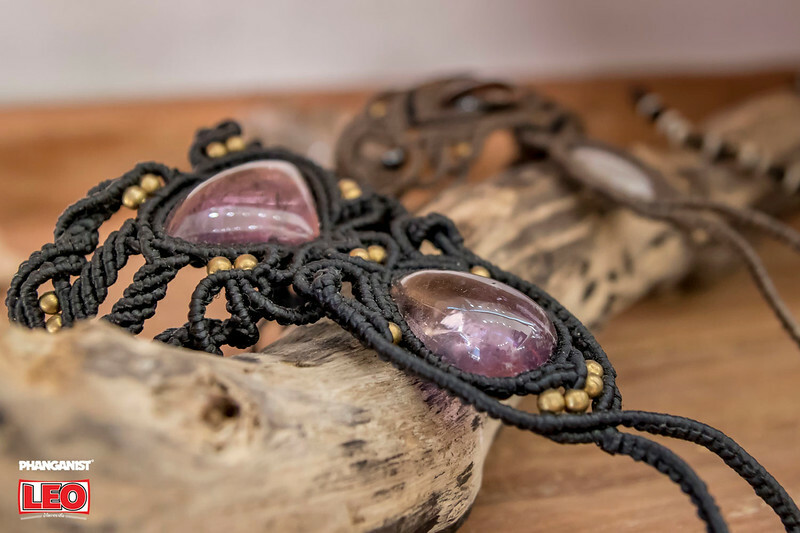 The small pieces were what was missing from our collection, women seem to prefer these kind of pieces and it is also about just the stone for some, people fall in love. All of Beaton’s macrame is of very high quality and retains their individual edgy style. Beatrice and Toni continue to speak and meet with other macrame artists with other styles which keeps things interesting and each can learn more about different techniques. 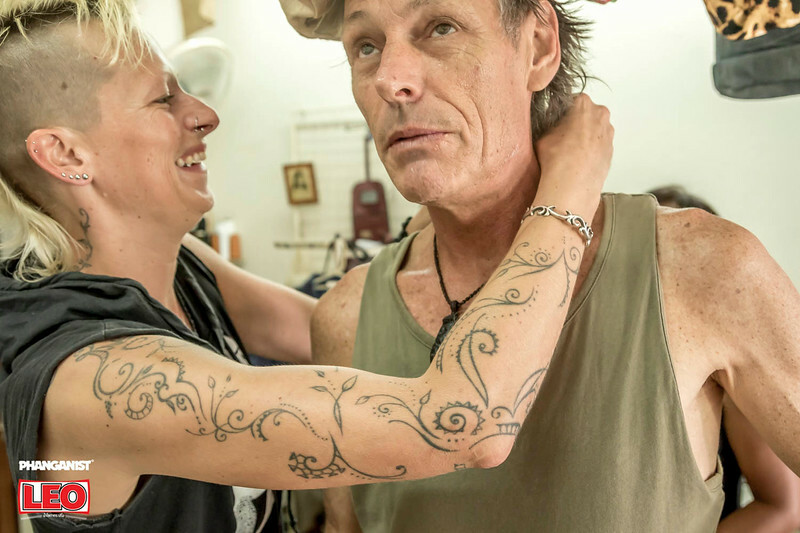 As well as the shop, Beaton’s jewellry is also available on their facebook shop but of course it is always nicer to visit the artists themselves in their shop which now luckily you can do! 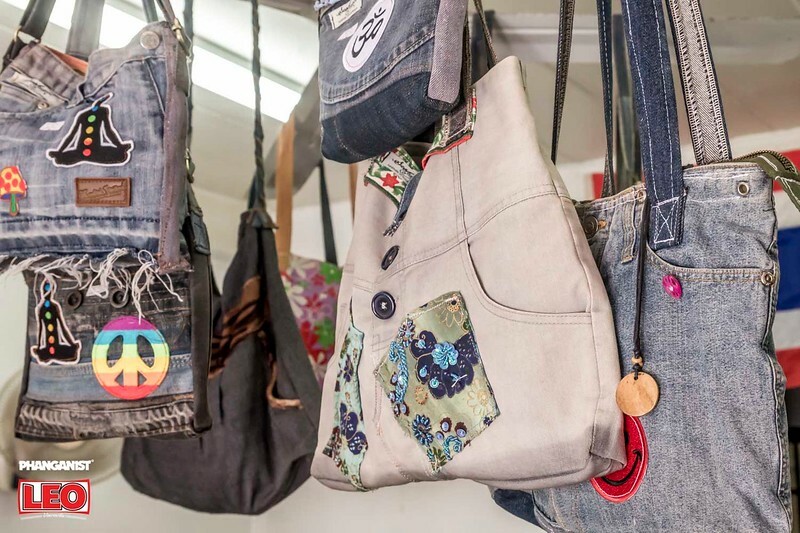 At Beaton you can also get unique handmade bags from Pi Ploy, recycled from jeans she is a master seamstress sharing the space here. “We still put on music in the shop and dance a little bit here”. 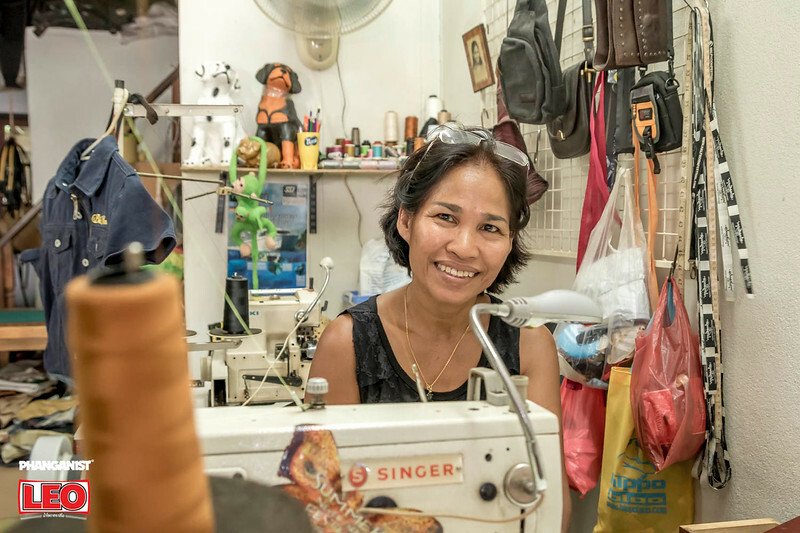 You can find Beaton on Krung Thai Bank Street in the heart of Thong Sala down the end near Lilawadee and the crossroads that takes you to the Pier. 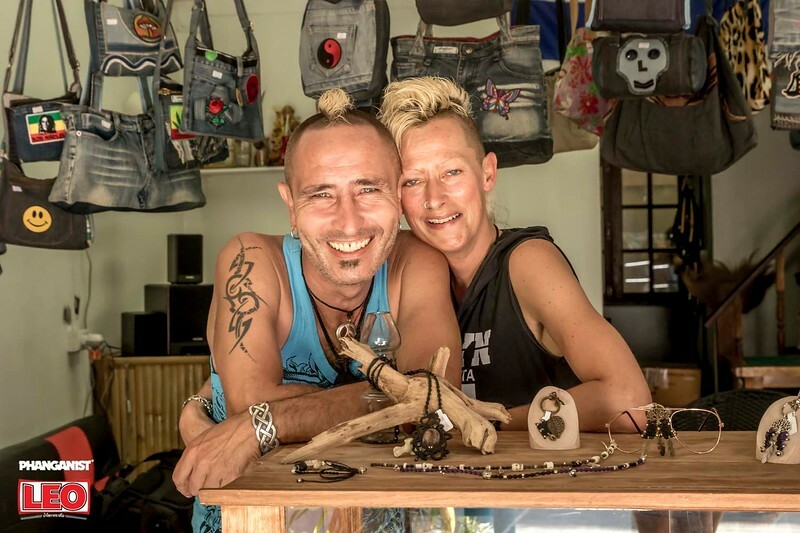 Go visit them and see the beautiful stone collection and possibly join them for a boogie as well.